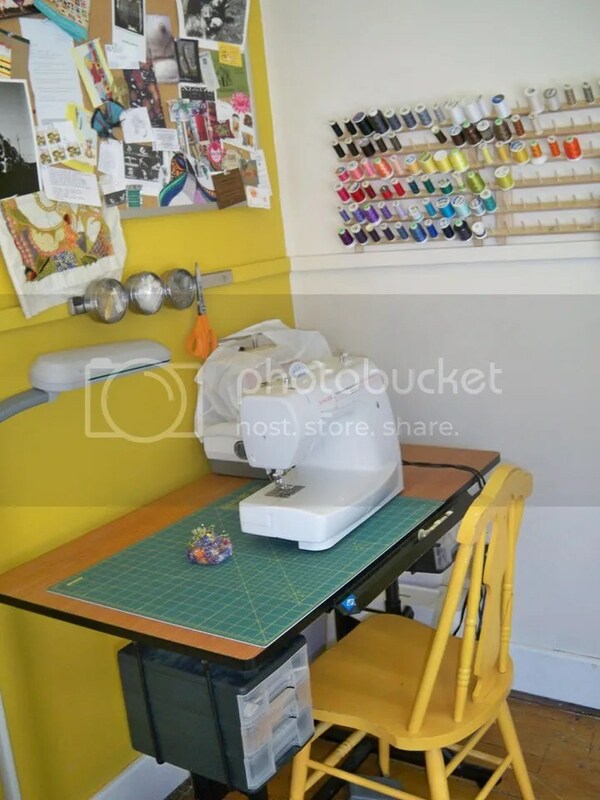 So behind that wardrobe, coat rack, and the yarn/fabric shelf is where we hide household items like the Christmas tree, and such… But I am becoming more and more tempted to absorb that space into my crafting area… I’ve also recently purchased a rolling clothing rack, which I plan to hang a lot of my apparel items and fabric on. 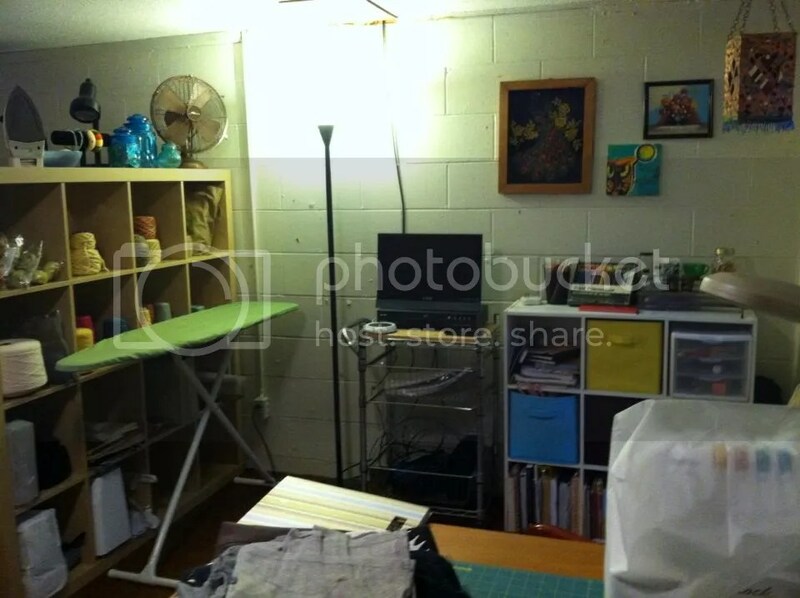 This was still pretty early after our move in this summer, so it’s not a total mess yet! 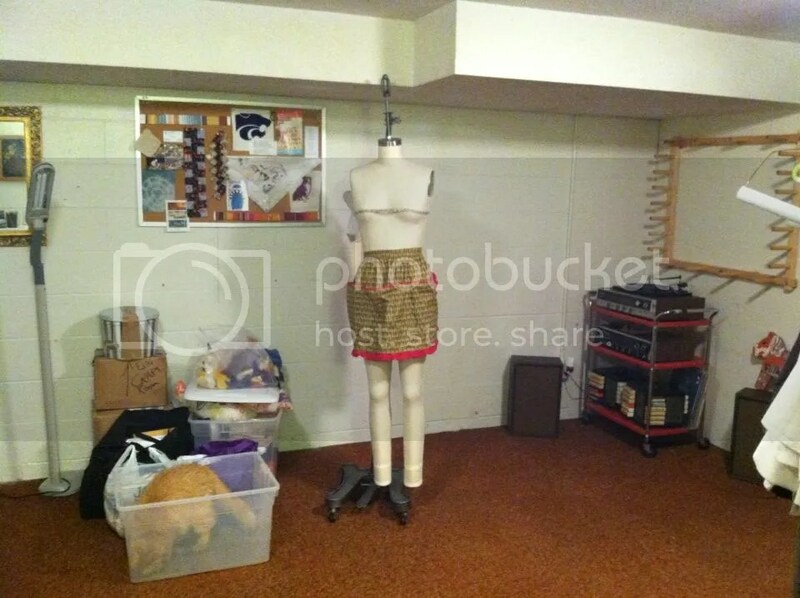 I have also added another large table in the center of this open space for cutting and drafting garment patterns. 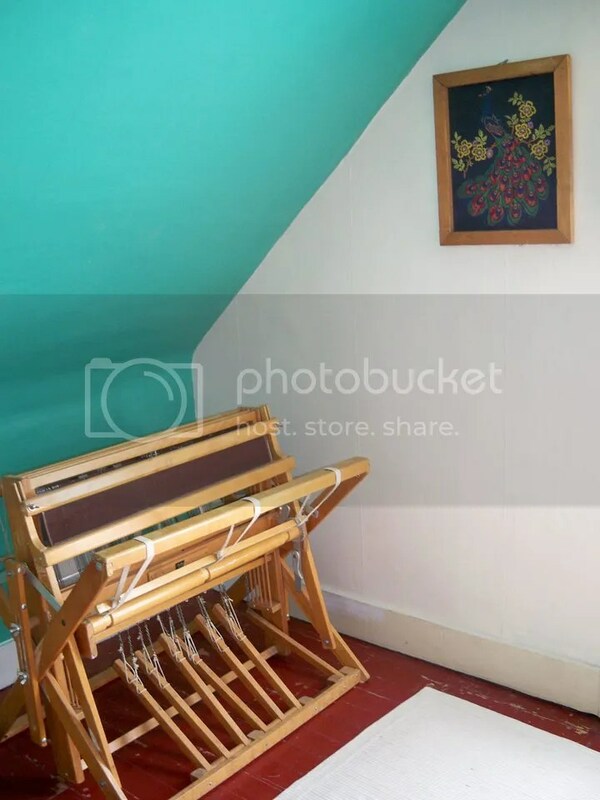 Originally I was planning to purchase a new larger loom to take up this space since I sold my last one, but that hasn’t worked out yet… Also, I don’t really want to think about getting it down those stairs, or back up again when we move some day! I admit, this isn’t my prettiest set-up, but it does function the best! 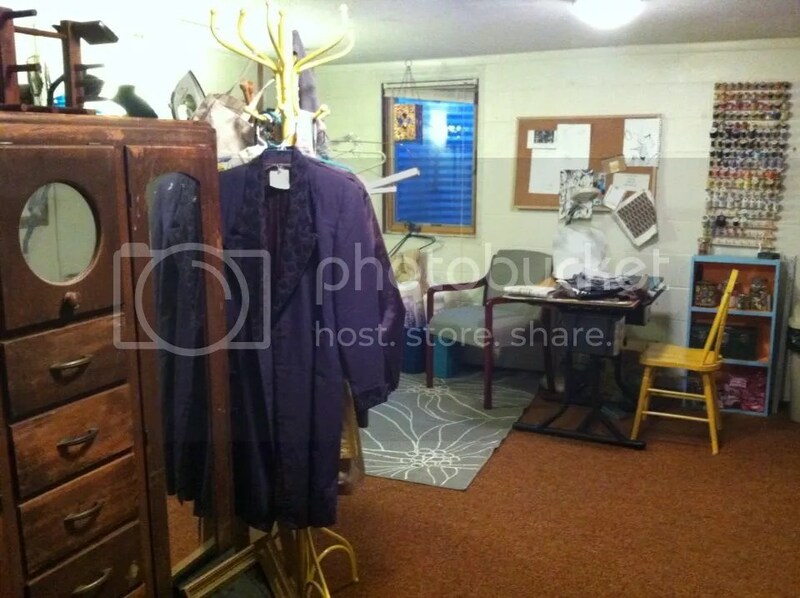 Anyone remember this beautiful set-up from Manhattan, Kansas? 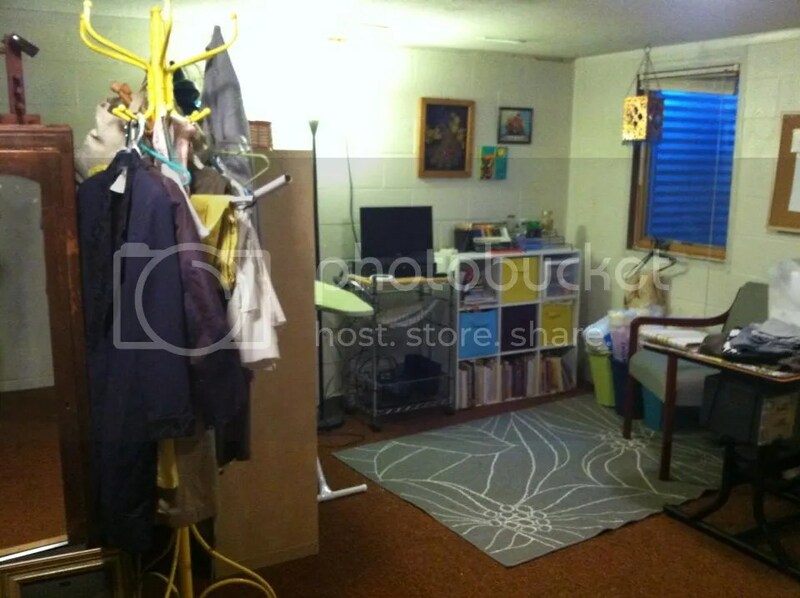 In this house, I actually had two rooms all to myself for my “making space”. 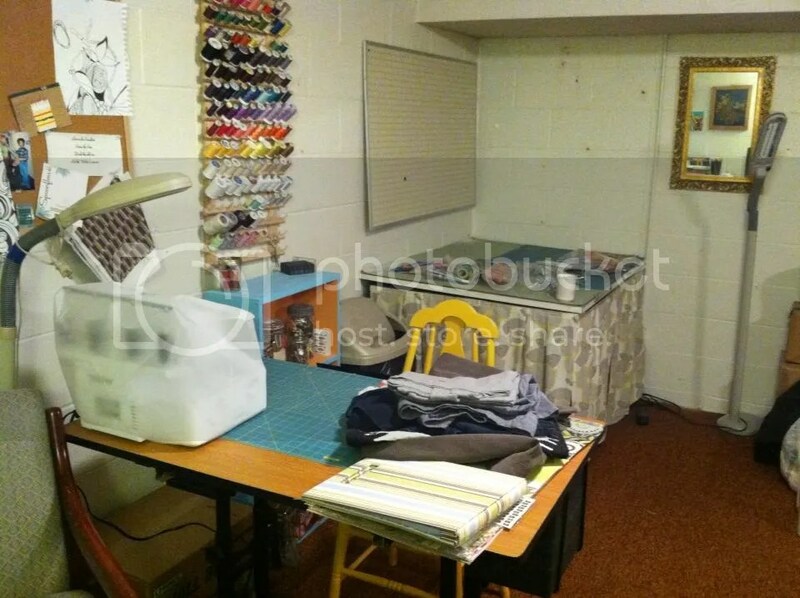 One room was for everything I wanted to work on, while the other room was specifically for weaving projects. 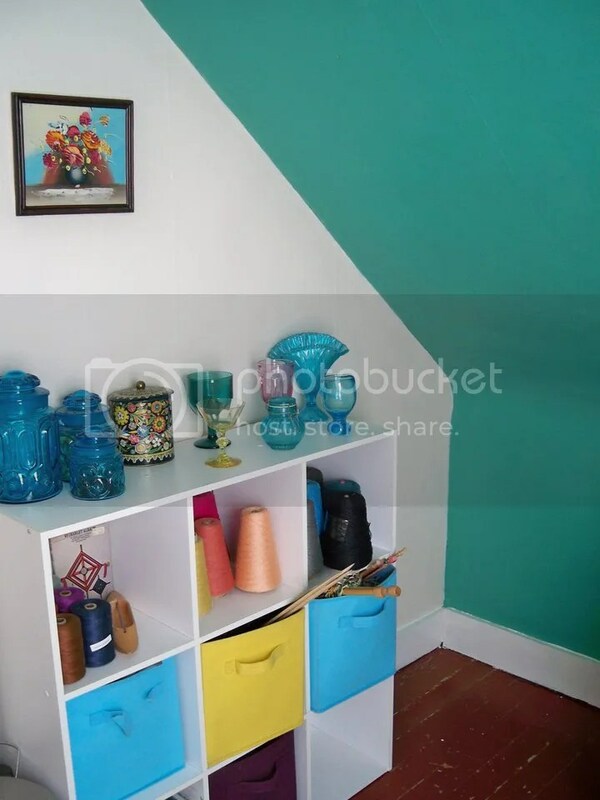 The first room was a gorgeous yellow and white, the second room was teal and white. So much color and so much light! I was spoiled! 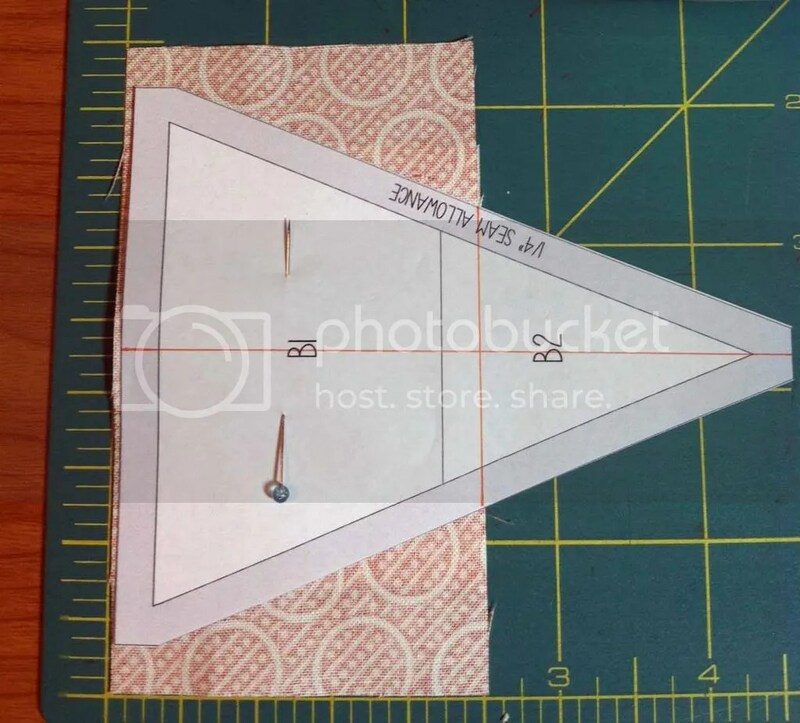 Okay, I’ve been sitting on this post for well over a week because it took me that long to scan my fabric key, but here it is folks! 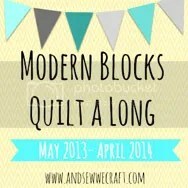 The November block in the Modern Block Quilt A Long hosted by And Sew We Craft. 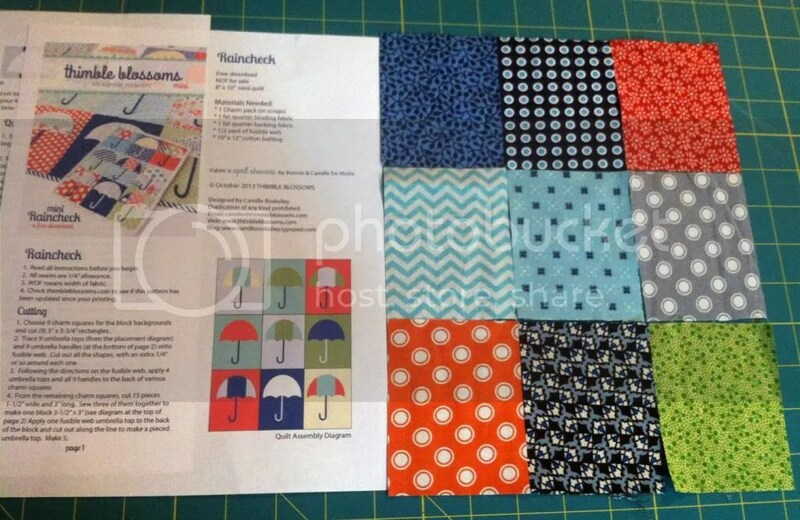 This month’s block is the Pogo Stick block chosen and instructed by Rosalyn of Sew Delicious. 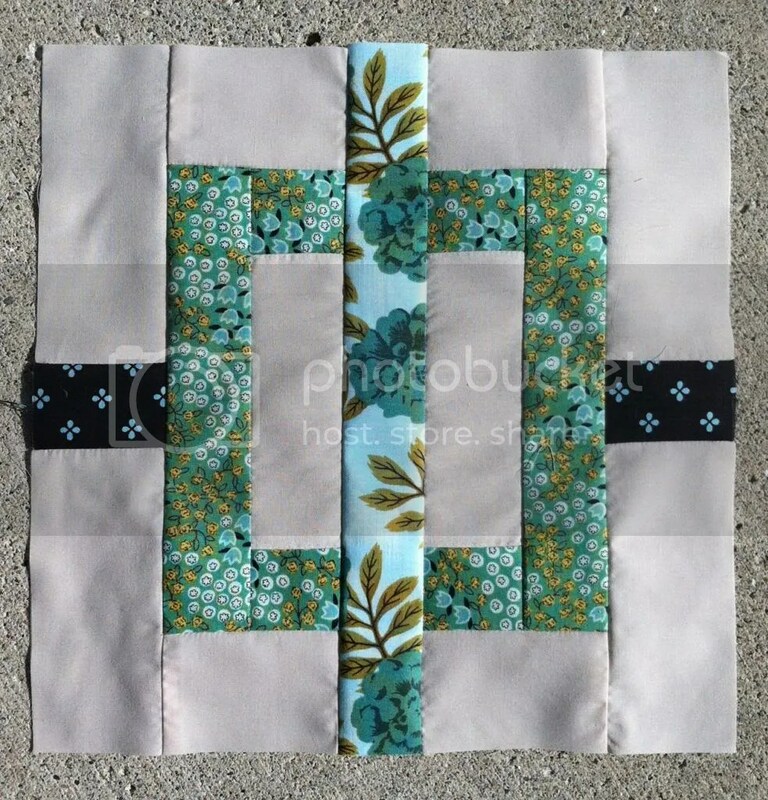 As a reminder, all of the blocks completed for this quilt a long are from the book Modern Blocks by Susanne Woods, which I finally purchased from Joann’s this week with my Veterans Day coupon. But you can find the book almost anywhere online, Amazon, Book Depository, etc. 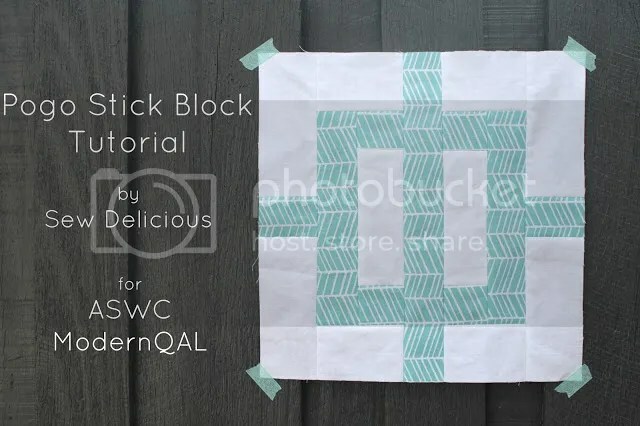 Above is an image of Rosalyn’s block, and you can find her tutorial for the Pogo Stick block here. 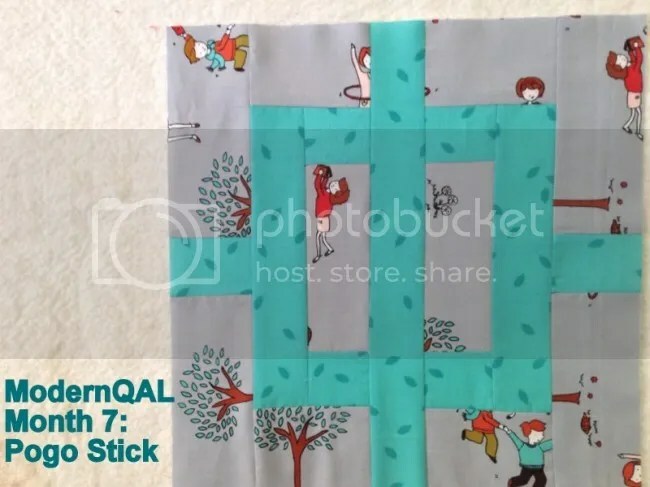 So every time I piece a block for this quilt a long, I always take a look at how the tutorial host has put it together, and also how Amy at And Sew We Craft has put her’s together. Viewing the other blocks really helps me make decisions about my own block, and as I didn’t own the book until now, I can only assume that they pieced their block pretty similarly to what is in the book. In this case, they both pieced the foreground element in one print and the background either as a solid or a separate print. I kept my off white background fabric, then chose Posy Navy for the side pegs, Bouquet Sprout for the square, and Garden Main Floral for the vertical pole. 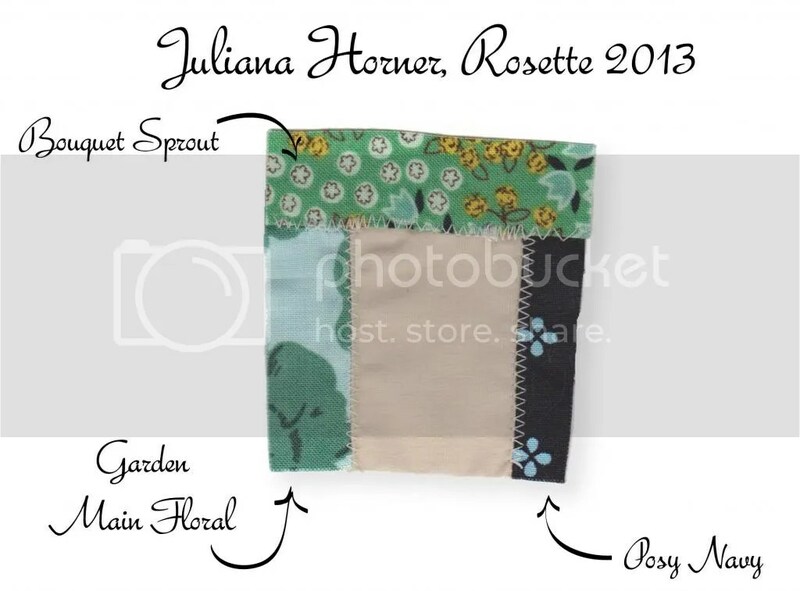 All of my fabrics for the entire Modern Blocks quilt a long are from Juliana Horner’s 2013, Rosette fabric line designed for JoAnn’s Fabrics. Now the question becomes, was I happy with my deviation from the two reference blocks? Yes, yes I am very happy! I actually love the outcome of the Pogo Stick Block. It was so simple to piece, yet came to be such an awesome modern graphic composition! 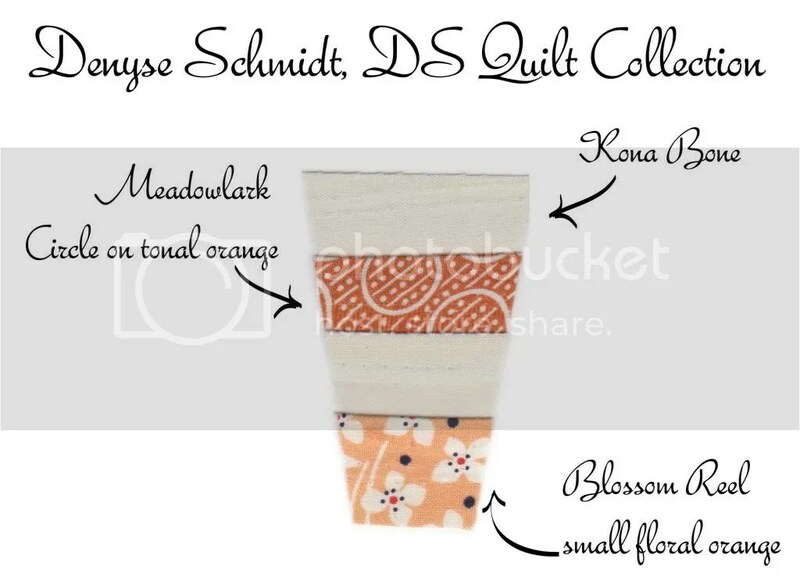 This is one block I can definitely picture as an entire quilt! 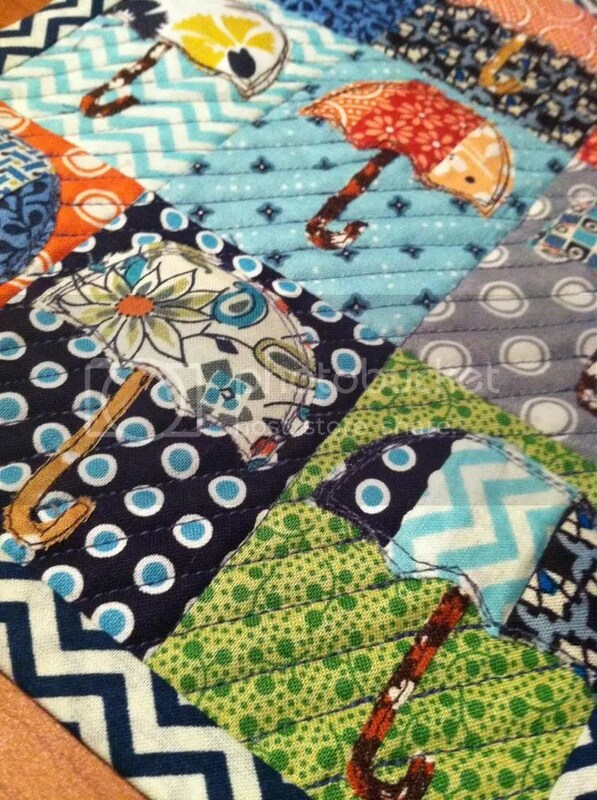 And with a little google searching, you will see that others agree, there are numerous full Pogo Stick quilts out there and maybe someday soon I will have made one of them! 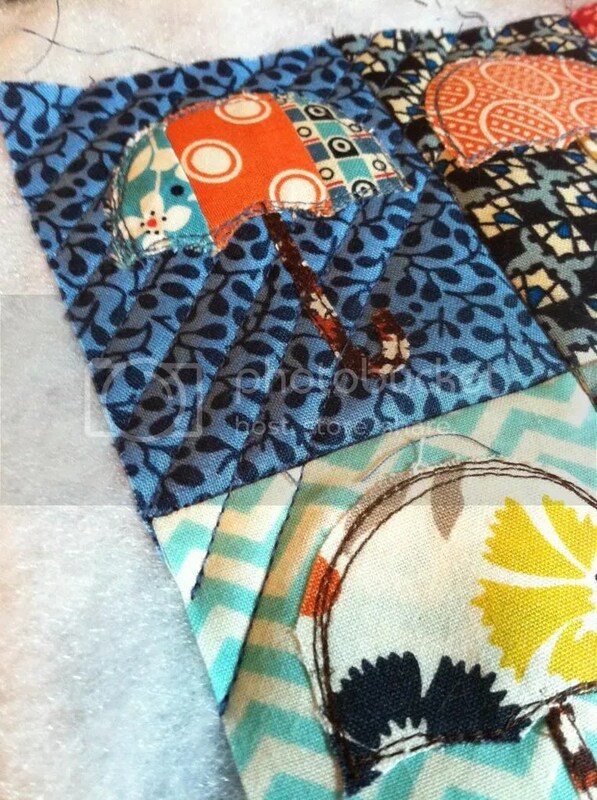 Be sure to head over to the Linky Party at And Sew We Craft to view the other quilter’s Pogo Stick blocks! 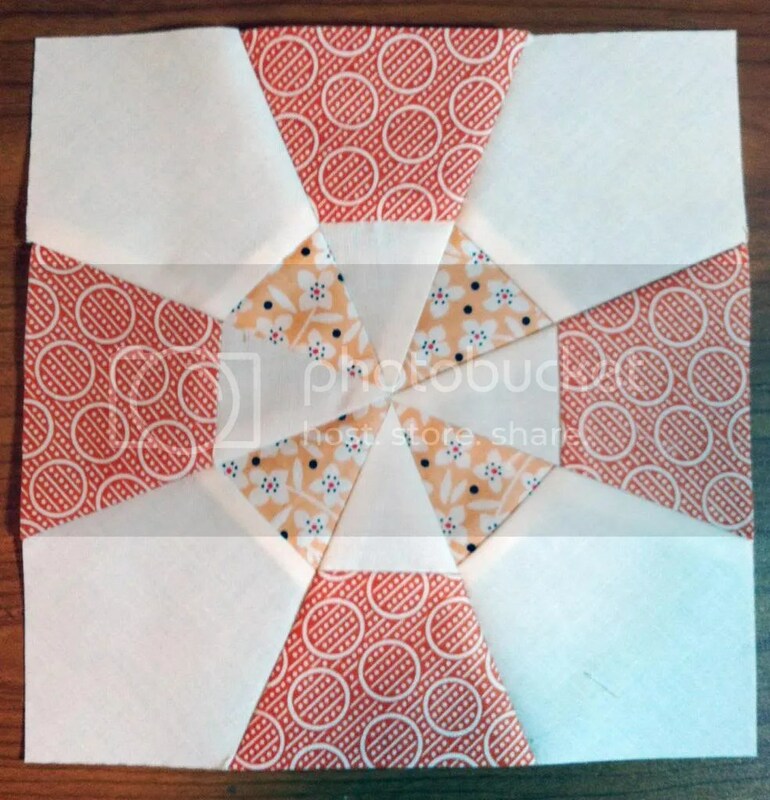 I really enjoy seeing the little twist everyone puts into their own blocks, and this month there is plenty of variation! Well, I am at it again! 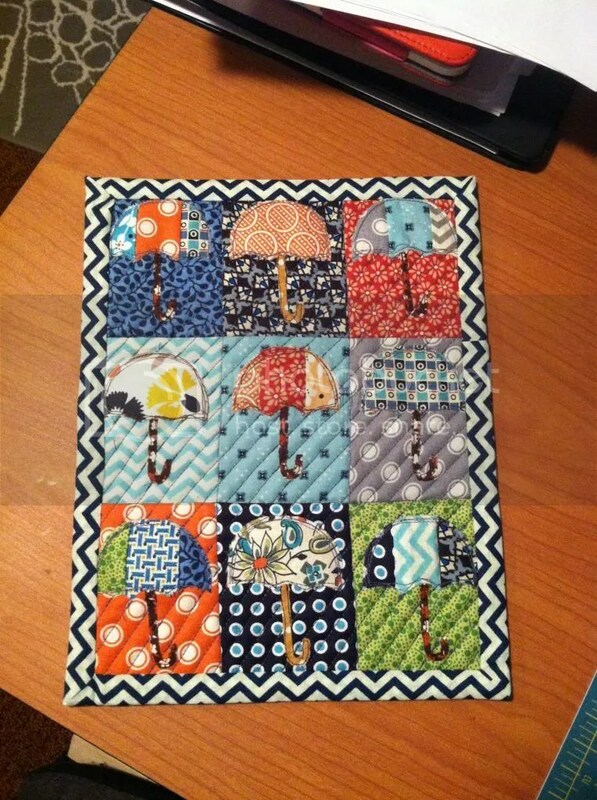 I have just started another quilt a long. 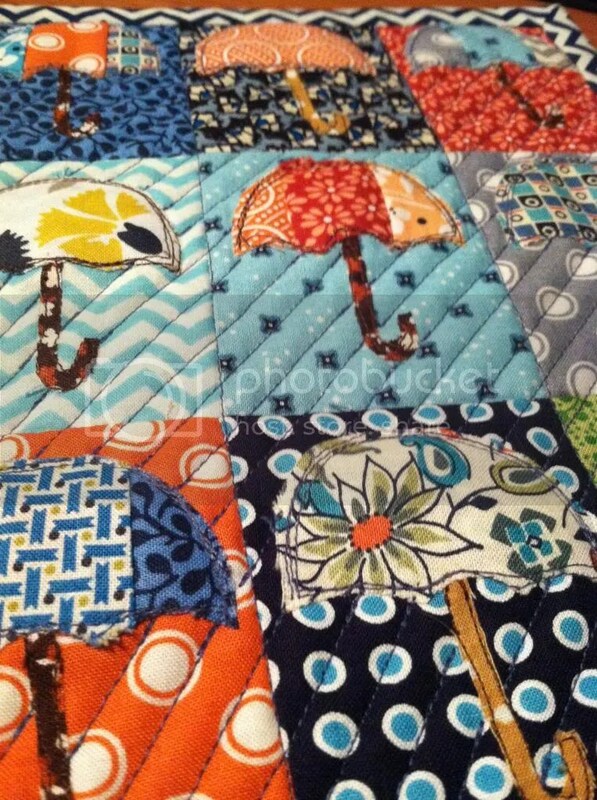 This time it is the Lighthouse quilt a long hosted by Faith of Fresh Lemons Modern Quilts. 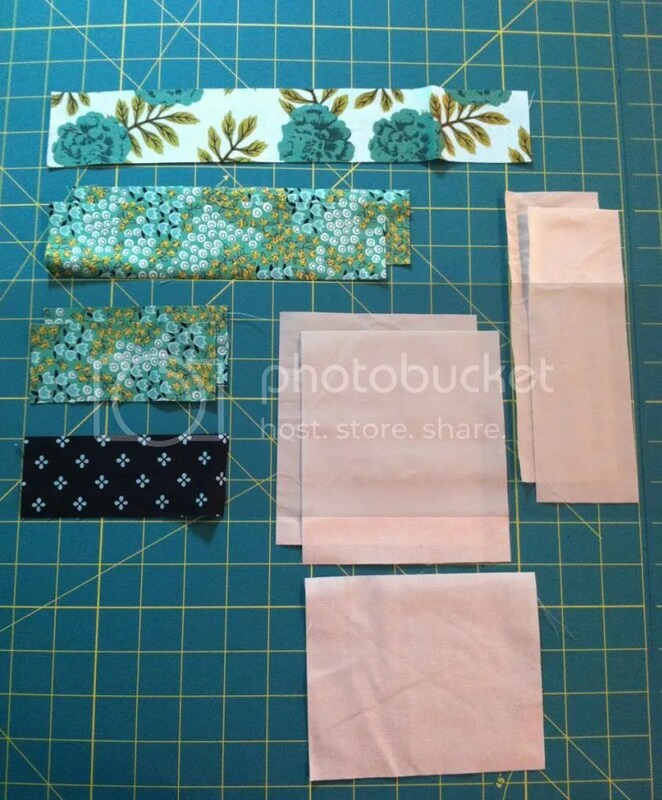 Faith has done such an amazing job so far detailing all of the fabric, batting, and template requirements for all different sizes of quilts. The math that she has put into this has literally blown my mind! I cannot be more thankful that she has taken the time to spell it all out for us! 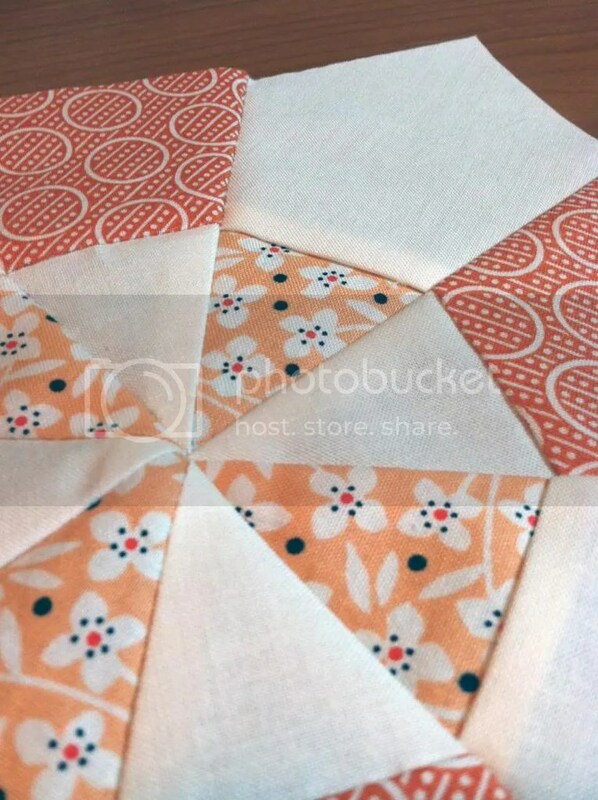 So, the block itself is paper-pieced. Which is pretty easypeasy anyway, but I have a few tips to add to Faith’s excellent instructions. 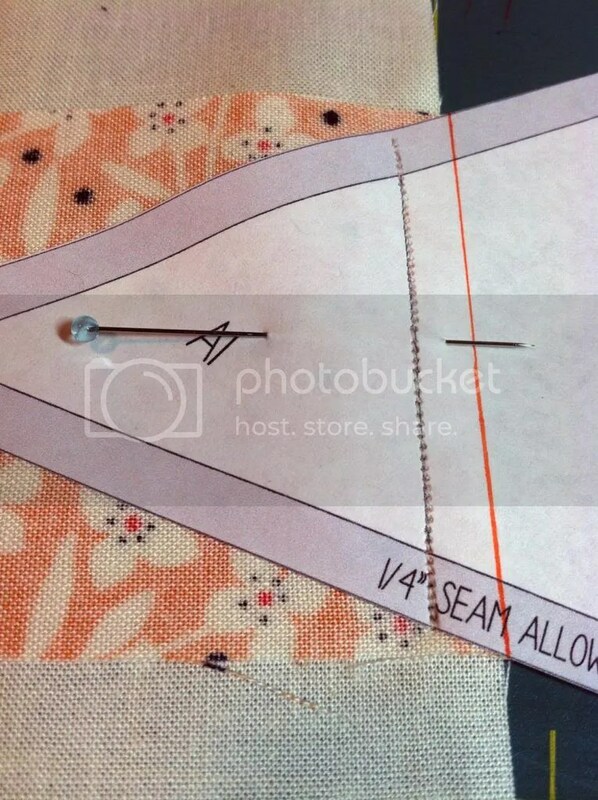 First, I like to mark a 1/4″ seam allowance so that I have a line to align with the raw edges of my fabric, rather than eyeballing my seam allowance based on the stitch line that is already printed on the pattern. 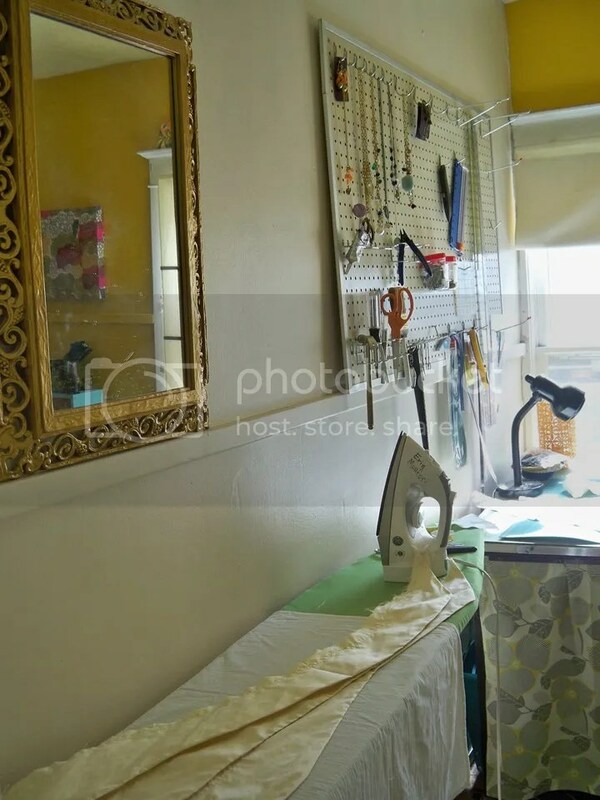 From this point, I can easily align my fabrics and be certain I have a 1/4″ seam allowance. But I also have another trick before we do that! 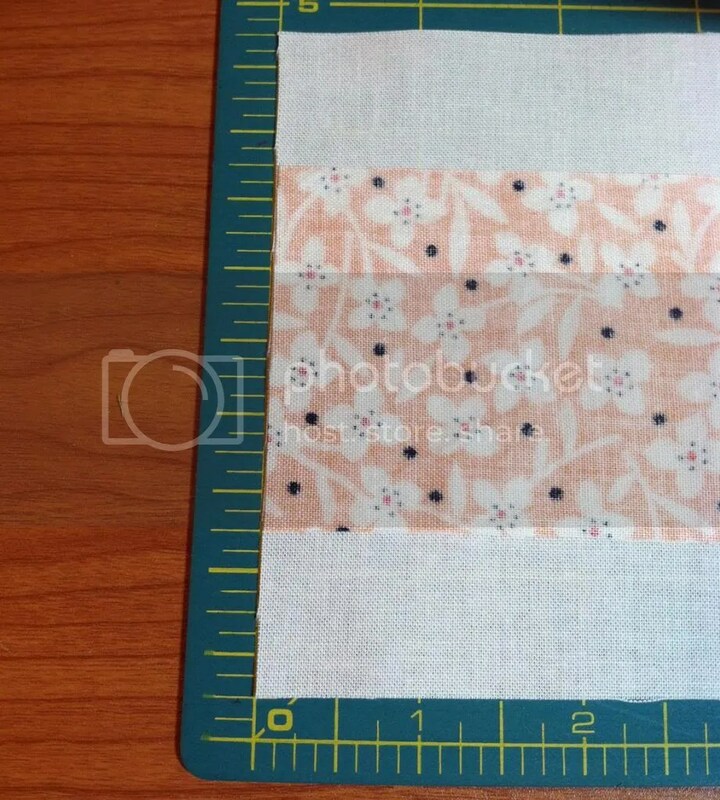 I lay my fabric out on a ruled cutting mat so that I can also be certain that my fabrics are centered. 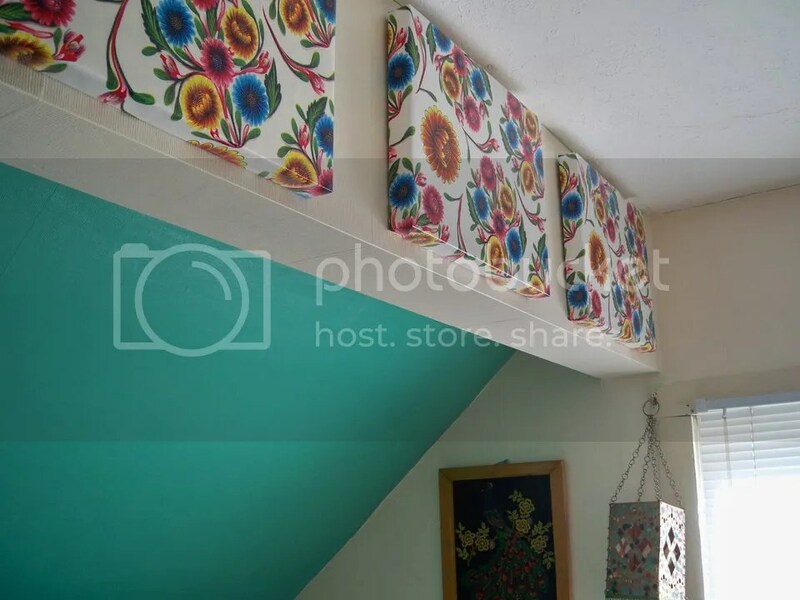 In this case, I centered the 2 1/2″ print on top of the 4 1/2″ solid fabric –leaving me 1″ of solid fabric on each side of the printed fabric. 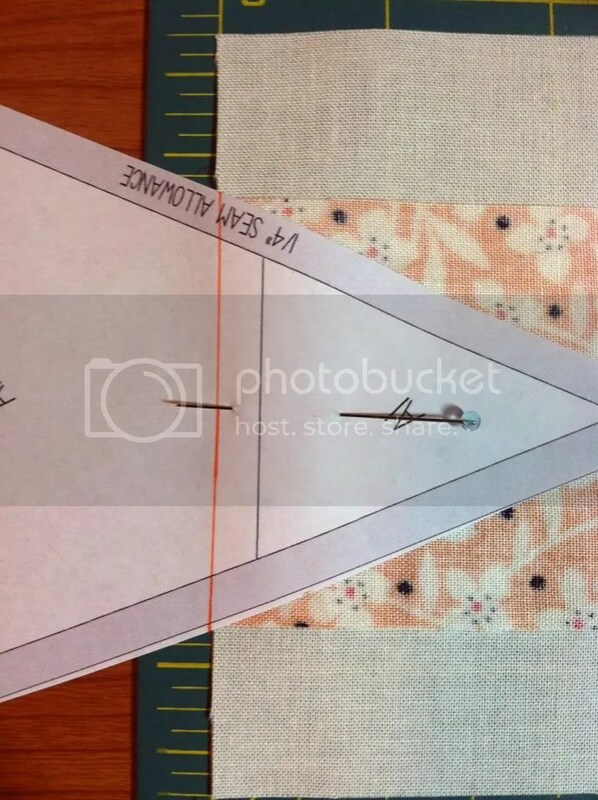 Then I place the paper template and as you can see below, the newly marked 1/4″ seam allowance aligns perfectly with the raw edges of the perfectly aligned fabrics! 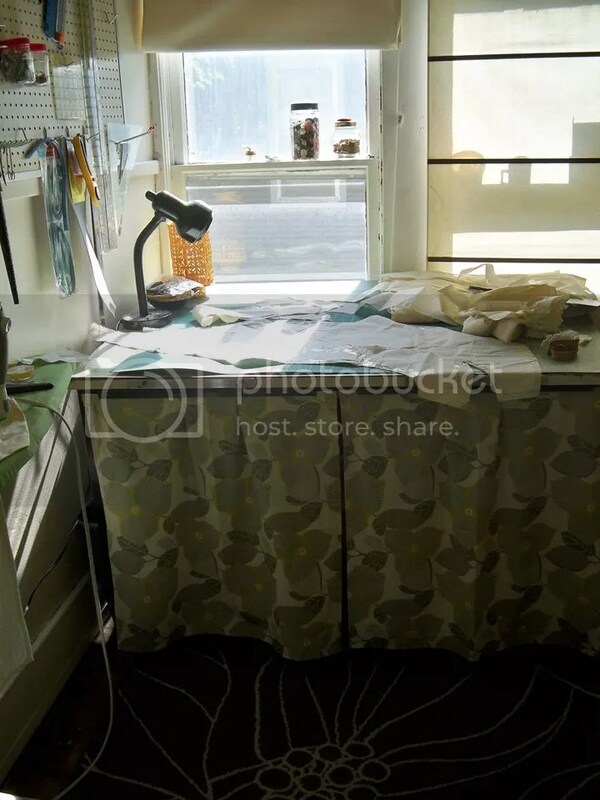 Now I am ready to stitch along the seam-line which was already diagrammed into the paper template! Bada-bam! But, there is more! 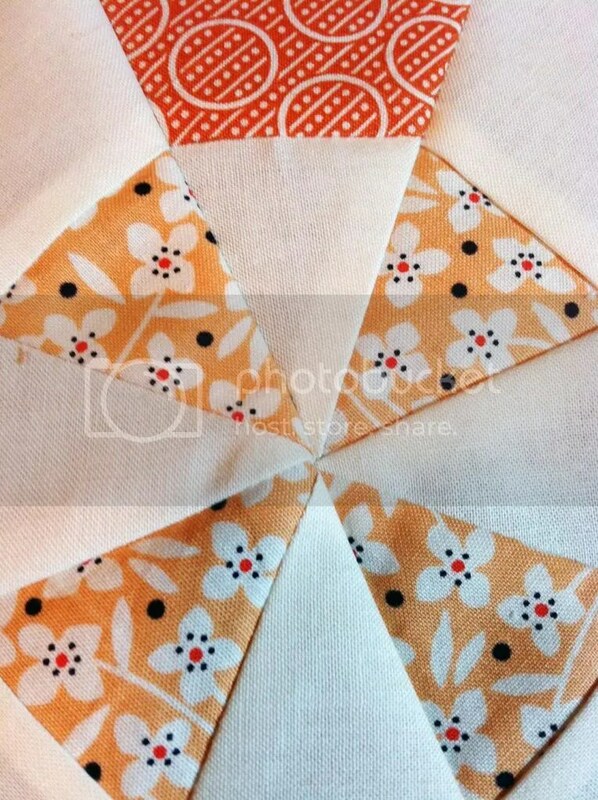 I have one more tip to share with you to further perfect our paper-piecing! 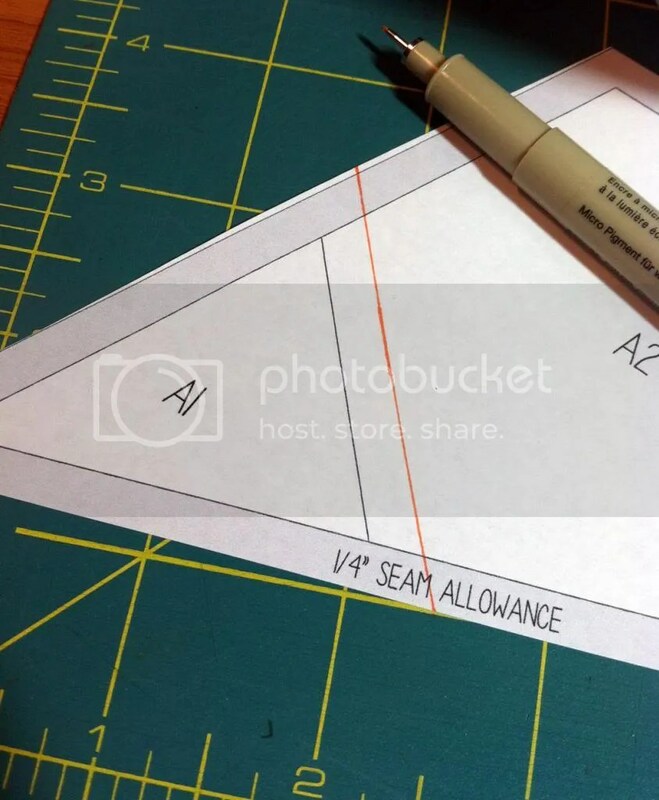 Now that we can perfectly align the seam allowance and seam-line, we might also want to know that the paper template is centered on the fabric. 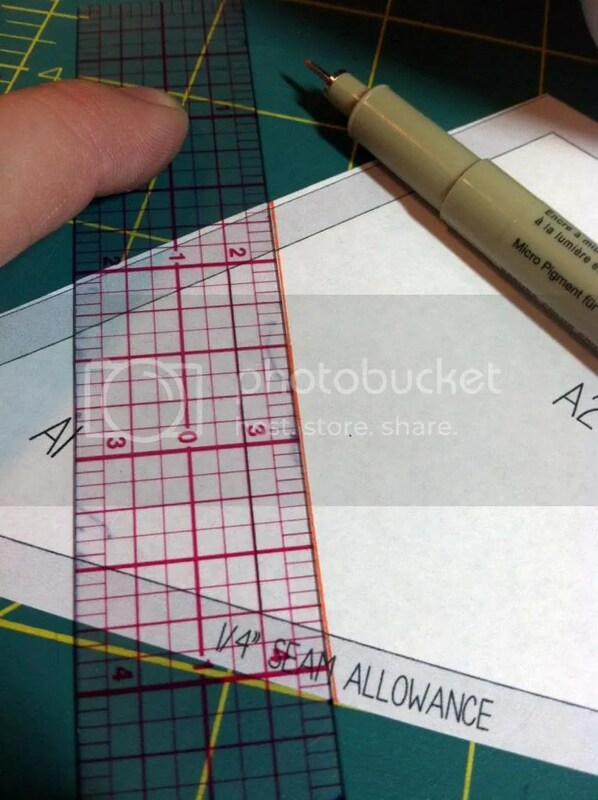 This, my friends, is much much easier when you mark the center line on the paper template. 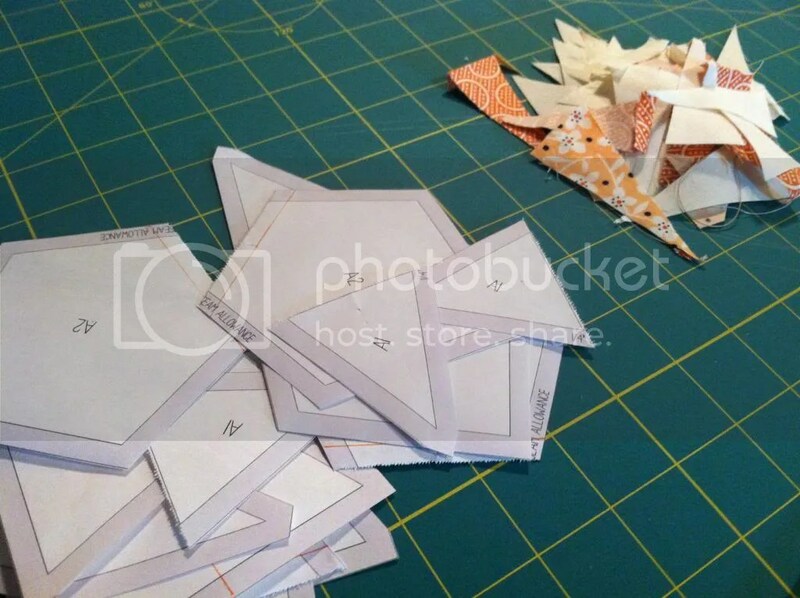 Okay, so if you’ve never paper-pieced before you do get to a point where you have this little mess. 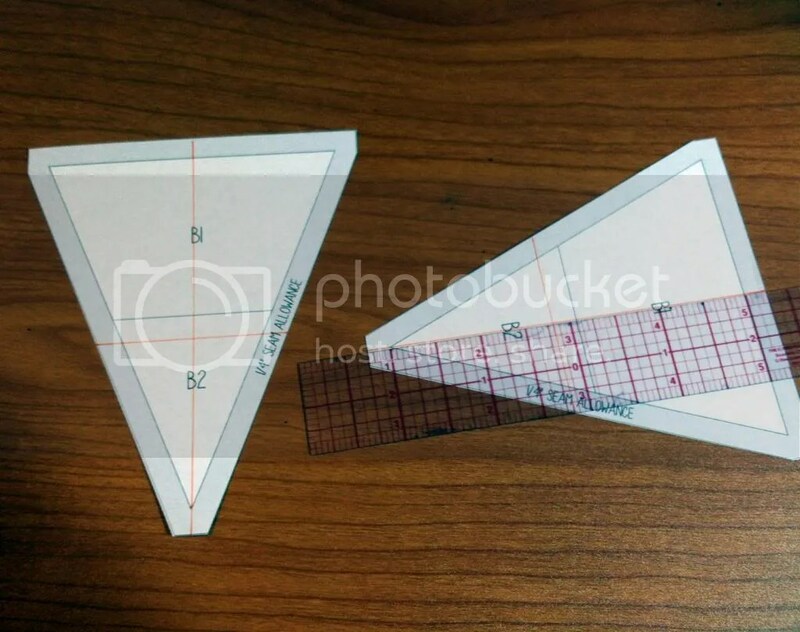 Which is my least favorite thing about paper-piecing. 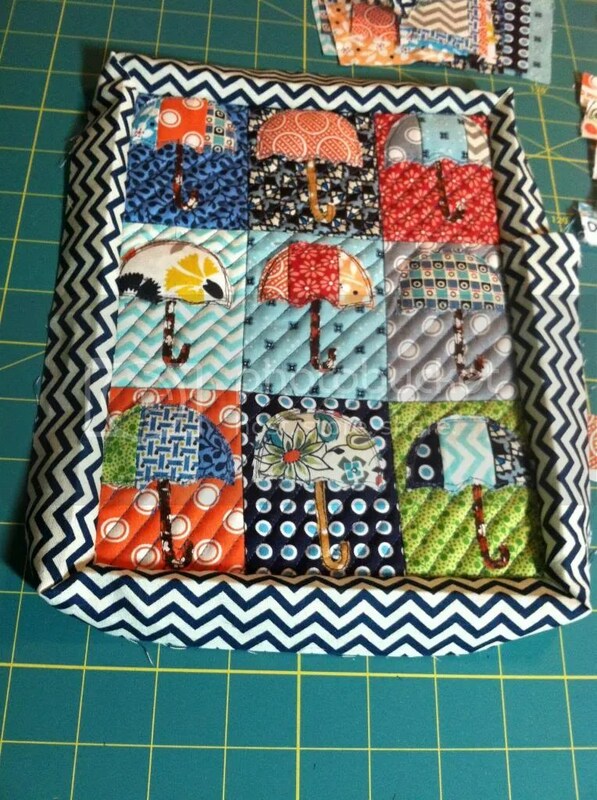 It just seems so wasteful… So I’m going to ponder ways that I can reduce the waste produced when piecing my quilt blocks… Speaking of which, I bet you would like to see the finished test block! 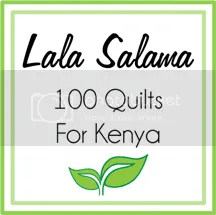 I do plan to construct an entire quilt but, my fabrics haven’t arrived yet, and I am going to be piecing a very special quilt for a very special project which I will tell you more about very soon! 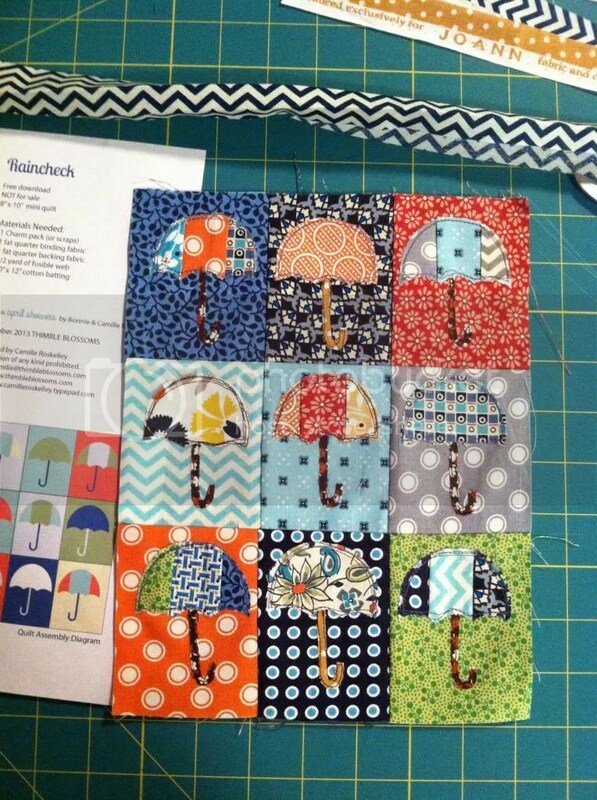 If you would like to participate in the Lighthouse quilt a long, be sure to visit Faith’s blog (the link is posted at the top of this post), to find the template and piecing instructions, as well as all of the wonderful calculations! 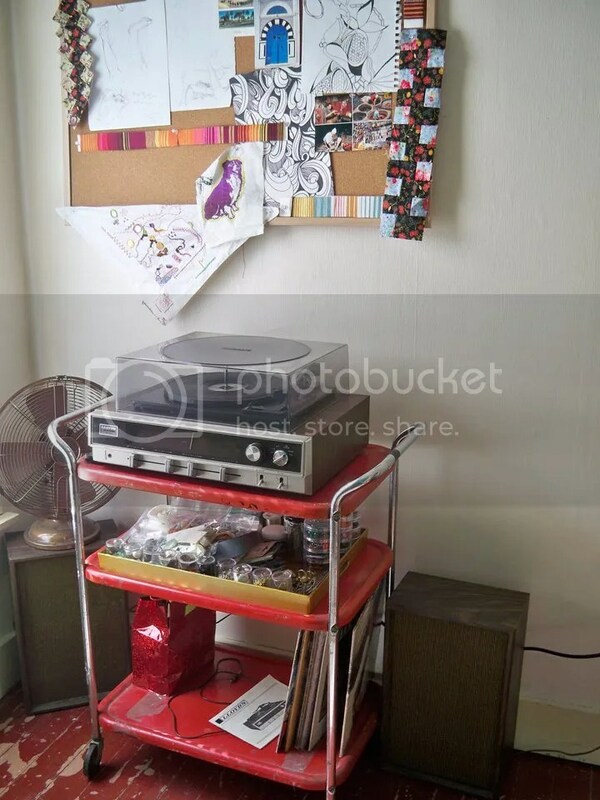 And of course, share your progress on instagram, flicker or whatever platform you use!